Motorola might be announcing its 2018’s G-series phones at the MWC 2018, and that’s happening between February 26 and March 1. Evan Blass has already revealed that this year, the ‘Play’ branding is returning with the G-series that we missed last year. So, this year, we are going to see Moto G6, G6 Plus, and G6 Play. Today, Droid-Life got the alleged renders of these three devices, and this could be our first look at the ‘legit’ renders of all the three phones that are ( most probably) coming after a month. All the three G-series phones are coming with the design language that was seen with last year’s Moto X4, i.e., Glass and metal design. Starting off with the normal G6, it features 3D glass on the rear as well as front and there is an aluminum frame sandwiched between the two glass layers. There is a dual camera setup on the rear with the same design as last year’s Moto X4’s. 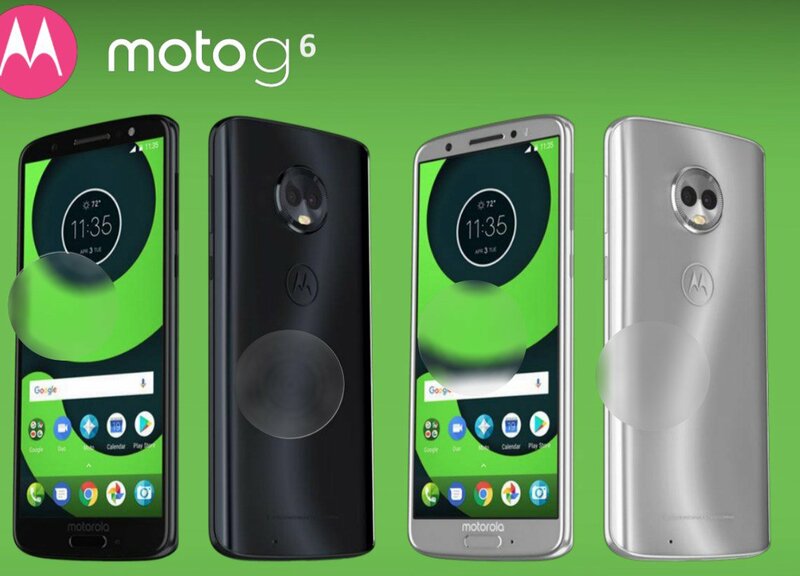 Also, Motorola has finally planned to move to 18:9 aspect ratio as the Moto G6 is coming with one. The fingerprint scanner is present on the front and has a shape similar to the physical home button we used to see on ‘Samsung’ devices. The ‘Motorola’ branding has finally returned as there is no more ‘Moto’ branding now. It would’ve been great to see stereo speakers on front and the fingerprint scanner embedded under the logo on the rear, but nevertheless, the new design looks great! A few specifications have also leaked. The G6 has a 5.7-inch Full-HD+ display with a resolution of 2160x1080p and 18:9 aspect ratio. There is 3/4GB RAM and 32/64GB internal storage. A Snapdragon 450 processor powers it. Talking about the cameras, there are dual cameras on the rear with a combination of 12MP + 5MP. On the front, the phone has a 16MP camera for great selfies. Lastly, there is a 3,000mAh battery under the hood. The G6 Plus is having the same design language with a slightly larger display and better specifications. The phone has a 5.93-inch Full-HD+ display with a resolution of 2160x1080p and aspect ratio of 18:9. It is powered by a Snapdragon 630 processor with 3/4/6GB RAM and 32/64GB ROM. So, for the first time, the G-series is getting 6GB of RAM. Talking about the cameras, the camera setup is the same with 12MP + 5MP dual rear cameras and 16MP front-facing camera. The battery is going to be 3,200mAh battery which is slightly bigger than last year’s 3,000mAh. Let’s talk about the smallest of the three, the G6 Play. It packs a similar design, but there are some significant changes like a rear-facing fingerprint scanner that is positioned within the logo. There is no ‘Motorola’ branding, as the phone has ‘Moto’ branding on the front. The Moto G6 Play has an HD display with unknown screen size. There is a big 4,000mAh battery under the hood. 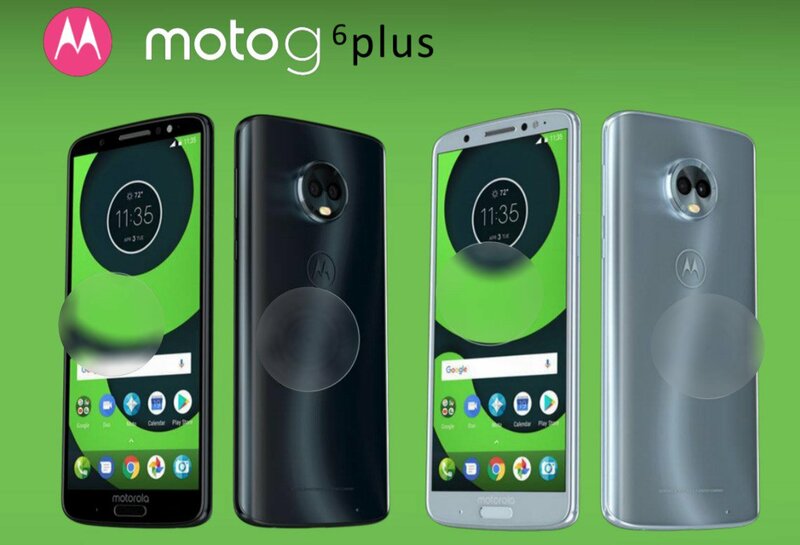 The Moto G6 will be available in three colors black, silver and rose gold whereas G6 Plus in Deep Indigo (Black), Nimbus (silver) and Dark Lake (Dark Teal). Keep in mind that these are the official color names for the G6 Plus but not for the G6. 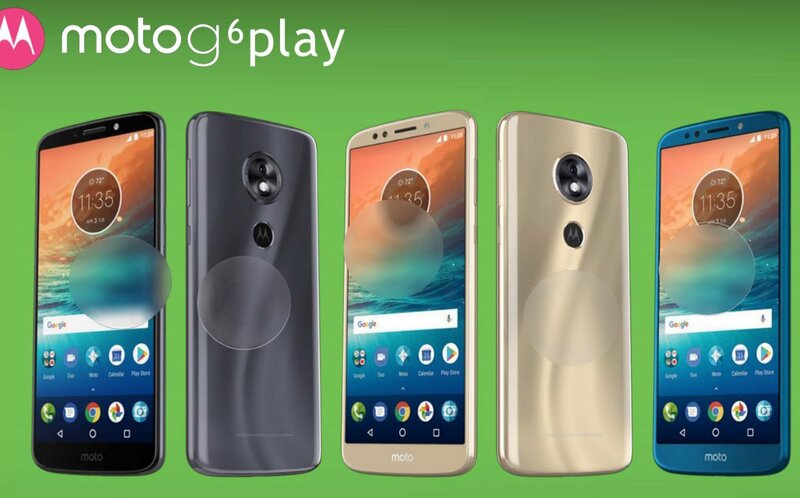 Similarly, the G6 Play will arrive in dark charcoal, gold and deep blue. The official names for the colors are yet to be confirmed. The pricing will start from $240 for the Moto G6 and $330 for the Moto G6 Plus. So, what are your opinions? Do let us know via the comments section.